I guess I'm in the right place to sell my Screaming Eagle Mooney! 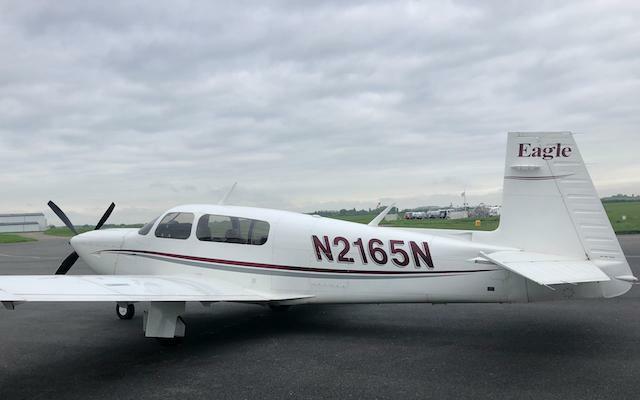 Equipment : GPS-Nav/com Avidyne IFD540 Wass, Nav/Com Bendix King KX155A, Mode S Transpondeur GTX 330, EDM830, remote ELT arming panel, Audio panel selector PMA7000S, A/P S-TEC 30 & S-TEC 901 for GPS Steering mode, HSI S-TEC 180, stormscope BF Goodrich WX500. Usable fuel capacity 89 USG; Speed Brakes; Always hangared , External aspect rated 8/10, internal 9/10. As I live in France, I might have a jetlagged response time, sorry in advance for that (and for my English ). English looked pretty good to me. Sounds like a great plane, although out of my price range. Do you have any pictures to post on here? Pretty sure its this one. I remember finding this one looking for a partnership when I was looking for My Eagle as It was the only one with a 4 blade and the only one in france. wAOUh ! you are right . Thanks for the pictures. Pls email me full details and photos/location. Thx! Hi, votre anglais est plus parfait. (See my french is appalling!). Looks like a lovely plane. You might want to consider letting Willem at Aeroskill Mastenbroek know you are selling it, he is the Dutch MSC and has a large network of contacts, so could help you. Is this one of the 1000lbs or more useful load Eagles? Should I assume that the plane had a gear up or something similar because of the new engine and new prop are the same hours? Or, maybe, it was time and the owner wanted to upgrade both at the same time? No, I overhauled both at same time, engine was on condition, prop and governor was just because it’s been 10 years and it was already off the plane.